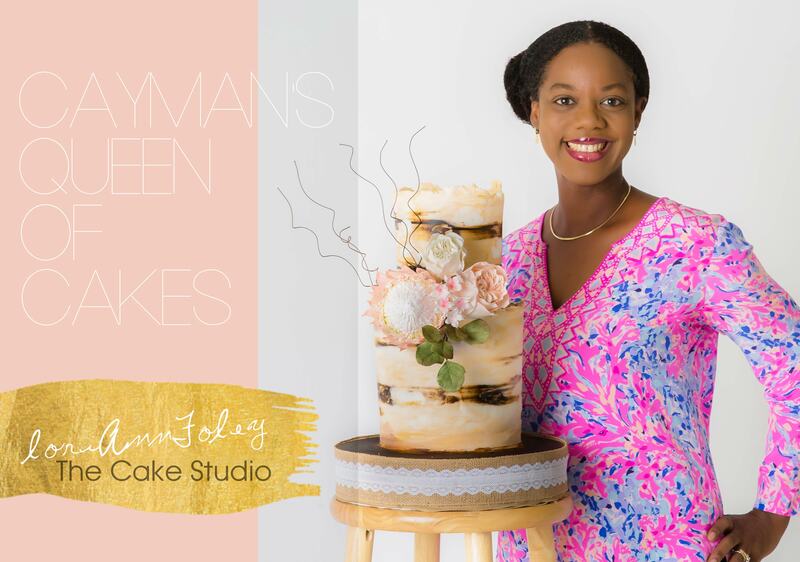 We sat down with our friend, colleague and favorite sugar-fairy, Lori-Ann Foley of The Cake Studio to discuss all things sweets, the most rewarding aspect of her career as the “Queen of Cakes” and her personal favorite flavors! I have been in business for 6 years. What type of cakes are your favorite to make? Wedding cakes are my favorite to make, for sure. I cannot tell you how excited I get when a client contacts us for a wedding cake! What was the most challenging cake you’ve ever made? The most challenging cake I have worked on was one of my first wedding cakes ever. I was very new to the discipline and the cake called for 100 sugar flowers and square tiers sitting atop glass separators. This cake taught me so much! The setup alone took 3 hours and took me way out of my comfort zone. Now I thrive on being out of my comfort zone, because if you don’t embrace challenges you are unable to grow and be innovative. What is your favorite thing about working with Destination Brides from abroad? I love working with all brides (I am a little obsessed with weddings); however, I find working with destination brides is a true privilege as I get to be an ambassador of sorts for The Cayman Islands. I really push to create an amazing cake both in design and taste so that their guest will experience world-class service way above their expectations in our little jewel of the Caribbean. What is your favorite thing about working with the Celebrations team? Design, design, design, I love the fresh approach to design that the Celebrations team produces event after event. It’s always current with a signature flare that makes a special day picture perfect. How many cakes do you produce per year? We work on over 700 orders per year. What other services do you offer that you’d love readers to know? We do the full range of desserts including cake pops, cupcakes, macarons, cookies, etc. If it is sweet and yummy, chances are we can make it for you! What is your personal favorite cake flavor combination? As a confessed chocoholic it has to be chocolate with more chocolate! Also, white chocolate caramel cake. Chocolate cake filled with dulce de leche is a close second.